Coptic Solidarity recently filed formal complaints with the International Olympic Committee (IOC) and with the Fédération Internationale de Football Association (FIFA) regarding Egypt’s systematic religious discrimination against Coptic athletes which has prevented them from competing at the national and international levels. Coptic Solidarity, a non-profit organization supporting those in Egypt working for upholding values of freedom and equality, and the protection of the fundamental rights of all Egyptian citizens, has received numerous complaints by Christian Copts in Egypt regarding their exclusion from Egyptian football clubs and many other sports. Despite successfully passing all selection stages, these athletes have been excluded from national and international competition for no reason other than their religious background. There are approximately ten million Christians out of Egypt’s ninety million citizens, yet Egypt’s Olympic mission to Rio de Janeiro for the 2016 Olympics, which comprised 122 players, did not include a single Copt. Egypt’s 2012 London delegation also did not include any Copts. Additionally, not a single Egyptian Christian player, coach or trainer can be found on any club in the country’s premier league. Over the past four decades, only a handful of Copts have been included in any club at any level of professional or semi-professional competition in Egypt. This is not an impossible statistical anomaly, but instead is the product of deep-rooted discrimination that exists in the administration of athletics and football in Egypt, and in Egyptian society at large. The infusion of religious bigotry into sports has become all too pervasive in Egypt, and is undermining the very meaning of sportsmanship. 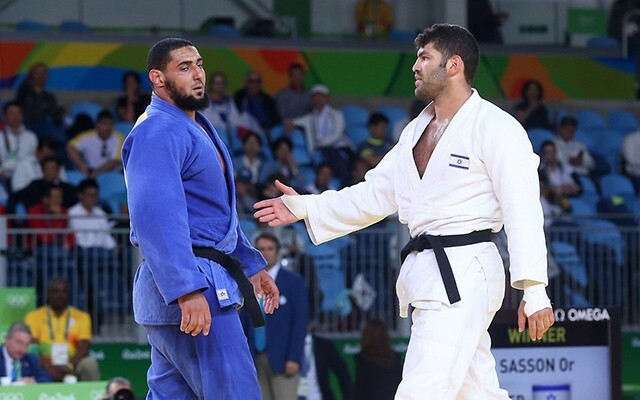 The shameful action of Egypt’s judoka, Islam El Shehaby in refusing to shake hands with his Israeli counterpart at the 2016 Olympic Games was condemned worldwide, yet in Egypt celebrated as a contrived religious victory. Religious intolerance and discrimination are contrary to the values and principles upon which the Olympics and FIFA were founded. In response to the widespread religious discrimination that Copts suffer in Egyptian athletics, Coptic Solidarity urges the IOC and FIFA to urgently send investigative committees to Egypt to research these allegations. 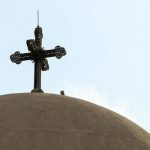 Coptic Solidarity is ready to cooperate with the investigative committee. We have at least ten such cases where the respective athletes are prepared to testify regarding the religious discrimination they have endured in Egyptian athletics, and there are hundreds, if not thousands, of other cases that have not been publicized only because of the perceived futility of even trying. 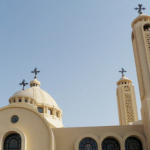 Coptic Solidarity is an organization seeking to help minorities, particularly the Copts, of Egypt and we support those in Egypt working for upholding values of freedom, equality, and the protection of the fundamental rights of all Egyptian citizens. It advocates in cooperation with the affiliated organizations in Canada and in Europe (Solidarité Copte). السيد المسيح سيأتى ثانياً إلى العالم كما قال هو فى الإنجيل : “سآتى وأُجرتى معى” وكما قال القرآن سيأتى حكماً مُقسطاً ، السيد المسيح طيب ولكن فى المجيئ الثانى سيأتى ليحاسب البشر فحذاري من غضبه لأن هذا المجيئ الثانى ليس له إستئناف أو نقض والويل كل الويل لمن لا يحترم جسد السيد المسيح و الذى هو الكنيسة التى هو رأسها ، اللهم قد بلغت اللهم فاشهد .